Antonio Calipjo Go, a columnist of Philippine Daily Inquirer, wrote an article regarding a textbook of the Department of Education titled Science Learner’s Material for Grade 4. The purpose of the article is to get the attention of the concern department as to why such book with so many errors is being used nationwide. 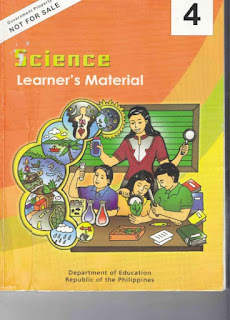 “Currently used by Grade 4 pupils studying in public elementary schools nationwide, this 318-page textbook contains 775 errors ranging from conceptual, pedagogical, logical and grammatical errors to errors having to do with simple drawings and illustrations,” Go wrote. “That a mere grade-school-level textbook could have so many errors – an average of 2.4 errors per page – speaks volumes about the real state of the Philippine public school system,” Go added. That is correct. The book has 2.4 errors per page! But you know what’s crazier? The said book was “collaboratively developed” by 14 writers, 2 consultants, 3 illustrators, 1 layout artist, and 1 anchorperson and 2 “managers” from the Bureau of Elementary Education, Coconuts Manila reported. To top it all off, the book was printed by Lexicon Press Inc. at a cost of PHP82 million. To see if sound travels through water, use a large basin filled with water. Hold your breath and place your head inside the water. Try to speak a word. Ball-and-sockets joints protect the eyes. The bat has to get rid of the large tree by echolocation or else it will bump and hurt its head. The start of human life begins after the baby is delivered out by its mother to the world. Adulthood is a significant time that adults can give birth. Put two pieces of fish inside the aquarium. How Important I Am in the Environment? Tell me how may I help you. How Do You Use Me? What are we waiting for! You may bump into your vases. Do not use your vases and other display in your house. Do not play in your stairs. Describe that sound has the ability to bounce back. We cannot tell which the original sound is and which the echo is. You find plants, animals and houses on the soil.